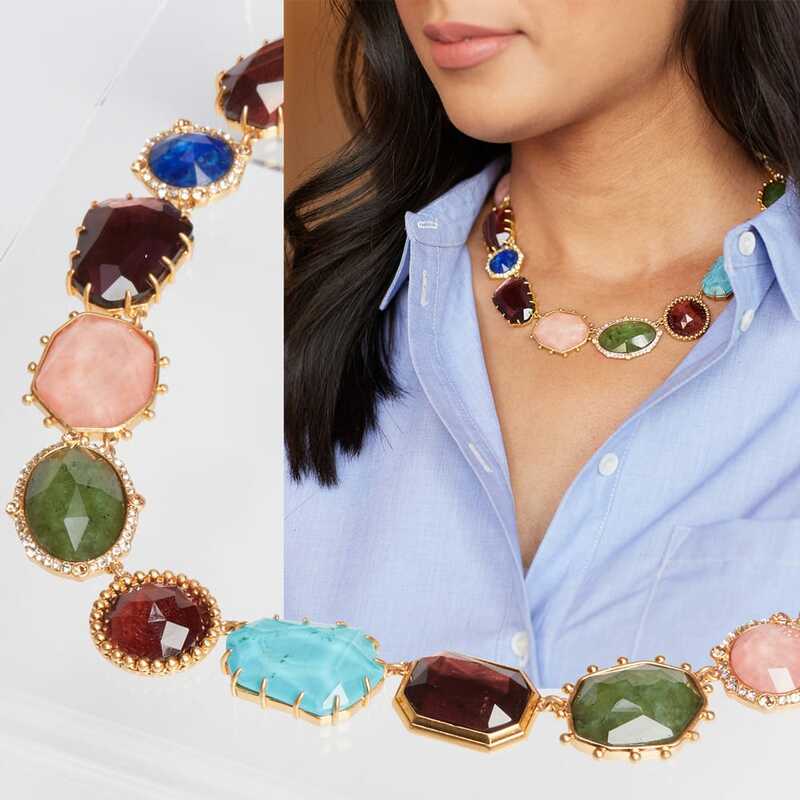 There’s everyday jewelry… and then there’s statement-making jewelry. This season, while we accessorize, we’re sticking to one style mantra: more is more. 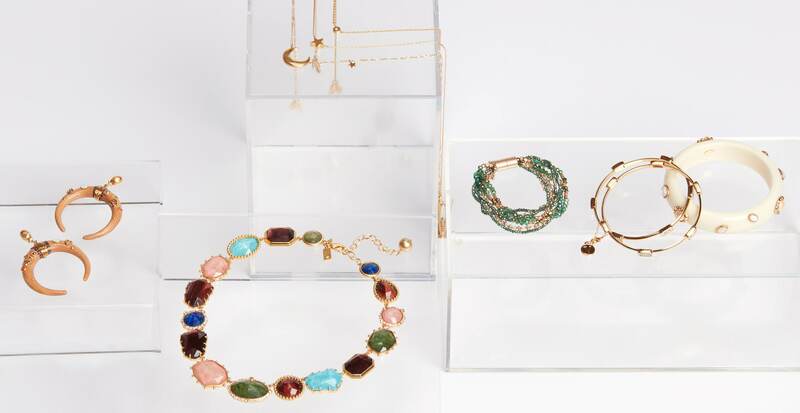 From stacked bracelets and layered necklaces to bold earrings with sculptural designs, we’ll show you how to adorn yourself like a pro. Ideal for dressing up a daytime ensemble, pair your classic button-down with an elegant necklace that sweeps the collarbone. Select an option that has interesting details such as asymmetrical shapes or rich jewel tones inspired by the season. Want to wear it in the evening? Try pairing your necklace with a long-sleeve top that has a crew neckline. 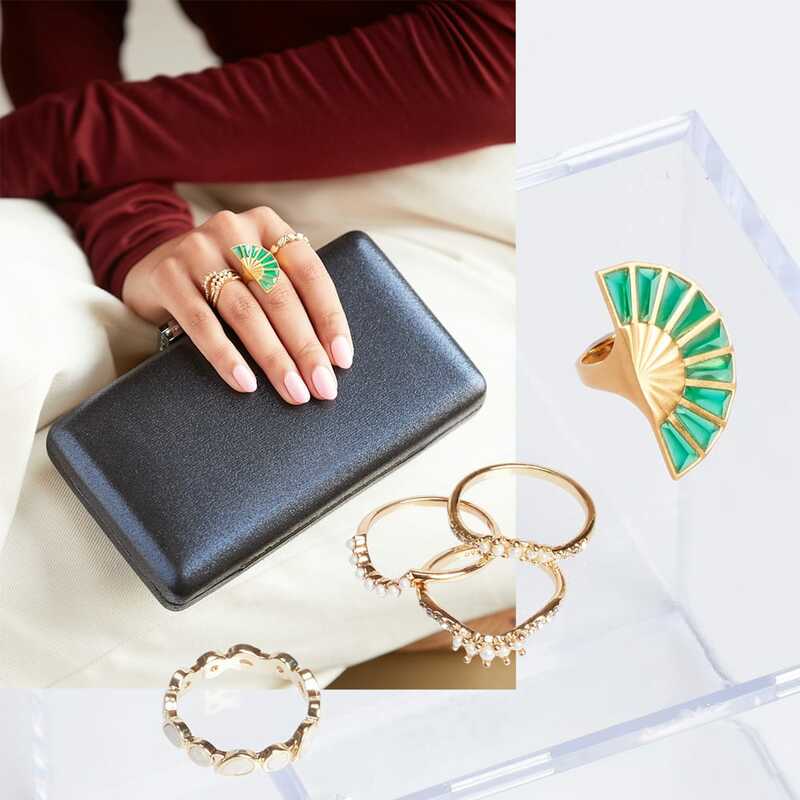 The trick to achieving the perfectly stacked look with cocktail rings is by playing with different sizes, shapes, and metals—the more creative you get, the better. Then swap your day bag out for a mini clutch, making sure to stick to a solid color in order to create a bold contrast. This not only prevents your accessories from getting too busy, but it also allows your rings to steal the show. 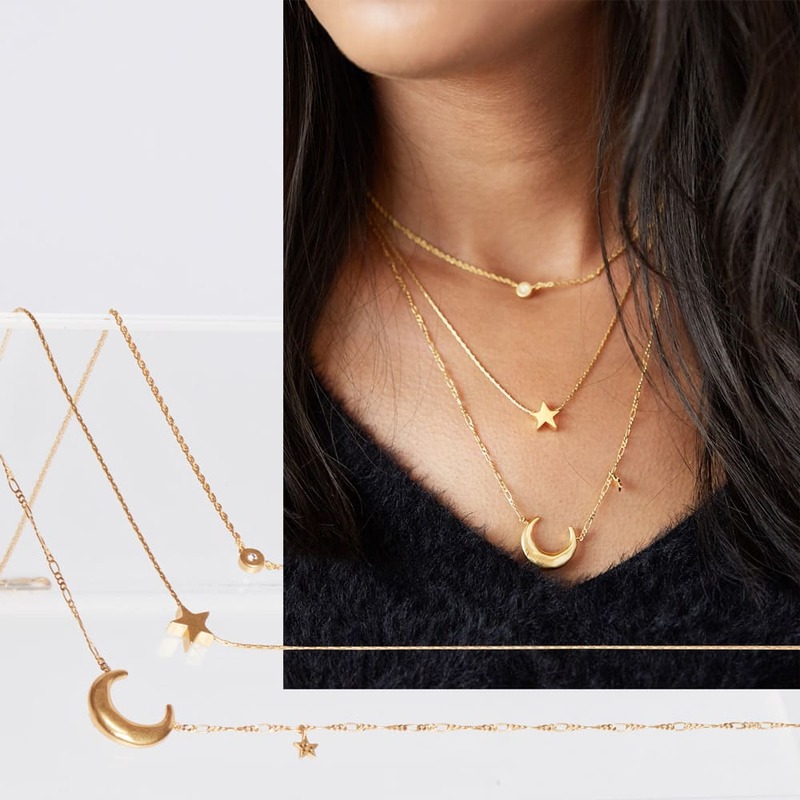 There’s no doubt that sleek necklaces can stand alone, but when layered together, they create an undeniable dose of cool. Go for a coordinated set of dainty necklaces or let your personality shine by creating your own mix. To ensure your layered set really stands out, contrast it with a V-neck sweater in a dark hue. If you have a taste for the bold, earrings that command attention might be your thing. Because they directly frame the face, it’s important to consider how they’ll interact with the rest of your look. 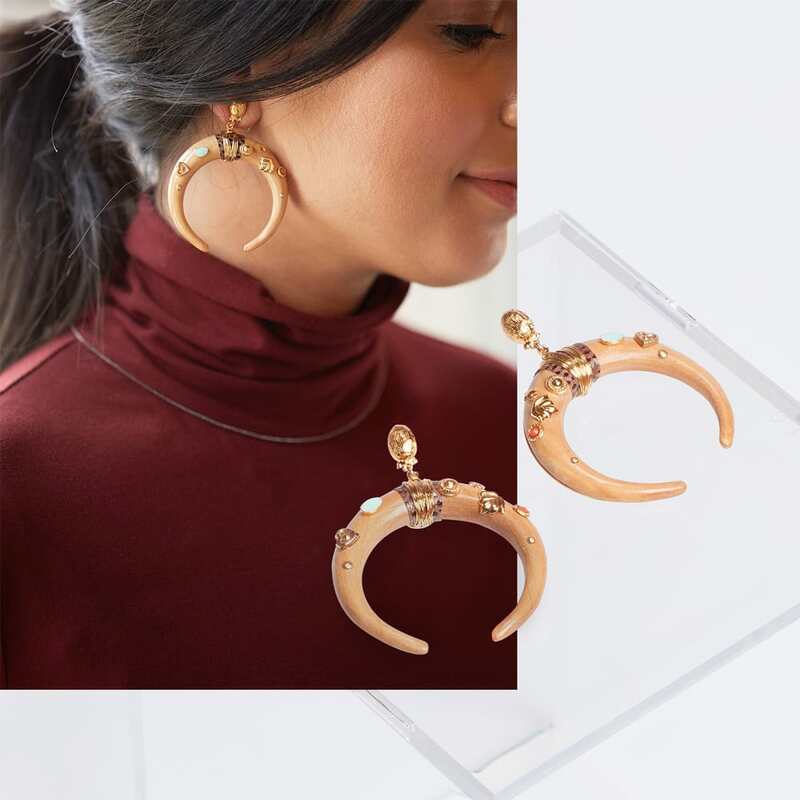 A solid-colored turtleneck serves as the perfect backdrop, and pulling your hair back allows your earrings to take centerstage.